Starting at back of bear for attaching row, single crochet (SC) around the waist of the bear to start the skirt and join to beginning. *Ch 2 and working in the round and without turning, work 1 Double Crochet (DC) in next stitch then 2 DC in next stitch*. Repeat around and join with slip stitch to top of chain 2. Ch 2, DC in each stitch around and join. Work reverse SC or crab stitch around for the trim row. Join and finish off. Skirt is 2.75” long with 5 rows of DC and one row of trim. Flower: SC 11 sts into magic circle. Sc in 1st st, Ch2, 2DC in same st, Sk one st, and sl into next. Ch2, 2DC in same st, repeat around and join. Leave long tail and stitch to front of skirt as shown. 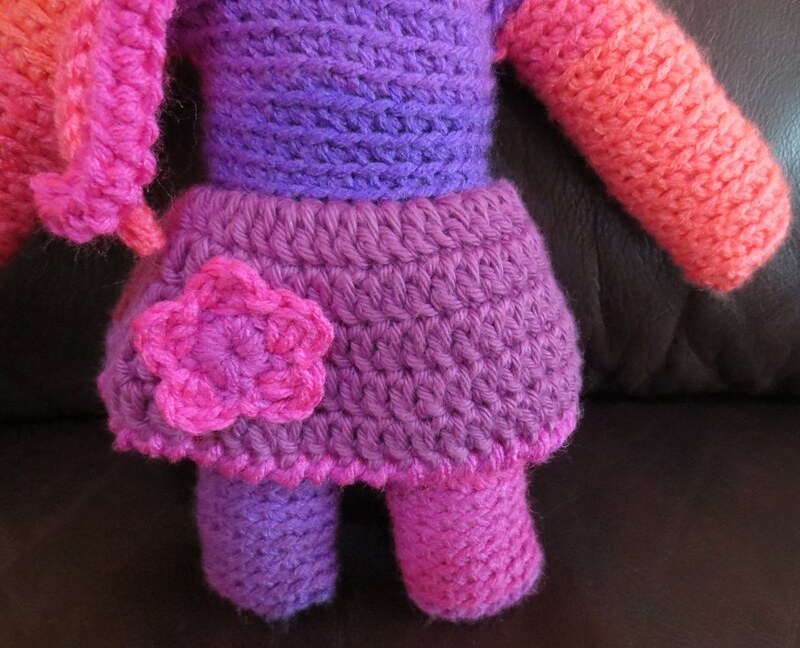 Here is a closeup of the skirt with a flower added for a bit of a splash. 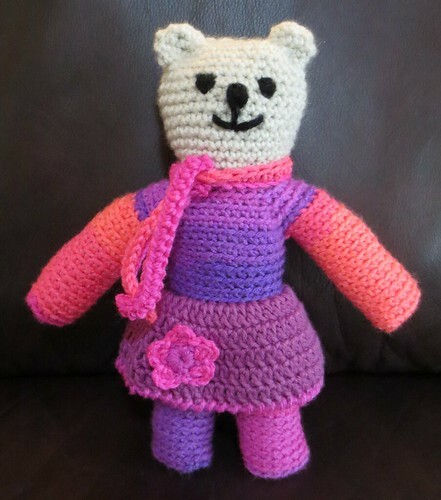 Hope you enjoyed this Mother Bear idea and please join us in making Mother Bears at the Ravelry group here.